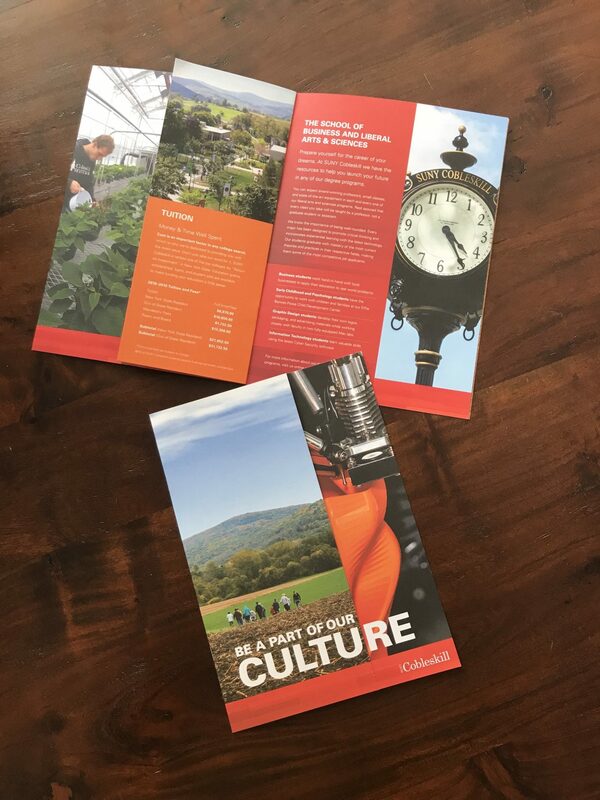 The Cobleskill series of collateral that we worked on was visually stunning because of its color, image selection, use of texture, a visual play on words, and overall unique physical features. 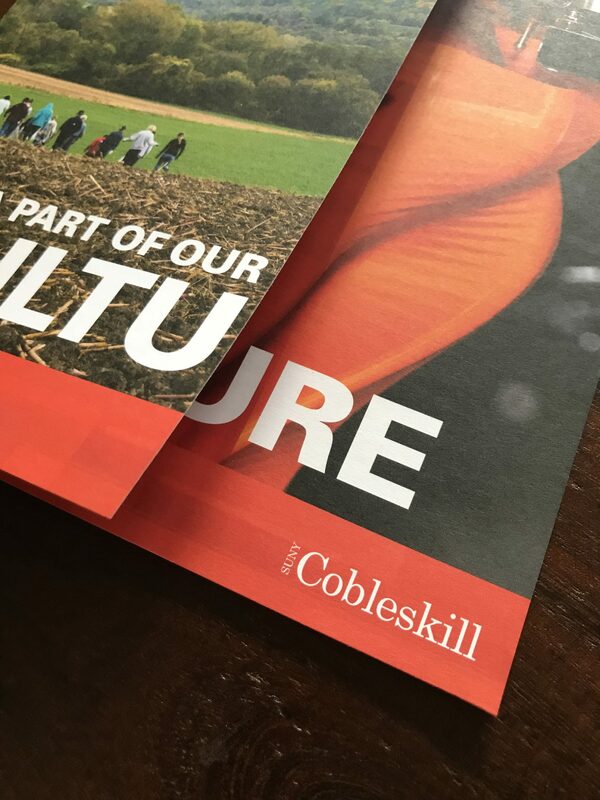 The first project of the Cobleskill series was the “Travel Piece.” This was a small piece that would cover both the school of Agriculture and the School of Business and Liberal Arts & Sciences and be handed out to potential students as Cobleskill traveled to high schools. This is often the first interaction a student will have with a new college. The travel piece was a 12-page brochure with a short fold cover and short fold center spread. The overarching theme on the cover was to have two images juxtaposition in content visually continue across the short fold. Image selection would be necessary to make that strong visual connection while at the same time be true to Cobleskill and show all that they have to offer memorably. There was also a type element that followed the same concept. Headline words that ran across the short-fold cover would finish similarly with purposeful letters from the reveal page. The message was strong. BE A PART OF OUR CULTURE / BE A PART OF THE FUTURE. This concept and design that incorporated image-precise short folds with sentence-finishing type reveals would play out on two other view books and the Junior piece. Production of these pieces and attention to detail would be necessary. Having an excellent printer would be critical. The Cobleskill collateral also tested our color matching chops. Cobleskill’s orange is very bright—Pantone Orange 021 to be exact. As often happens, that Pantone color did not translate well to the four color process. It became very muted and soft. We chose two CMYK color breakdowns that we thought worked well. One to represent that Cobleskill orange and another to compliment the clapboard texture that was being used throughout. This was a project we had the good fortune of shepherding on press. We were also able to have more than one piece printed at together: the travel piece, two view books, the Junior piece and two postcards to be exact. The benefit of that was that once we had the color adjusted and all of the pressmen on board, there would be color consistency across the pieces. This little tear from a color proof and chicken scratch on a post-it note served to be very important throughout the proofing and press-check process as well as for future pieces (that die-cut cow!). 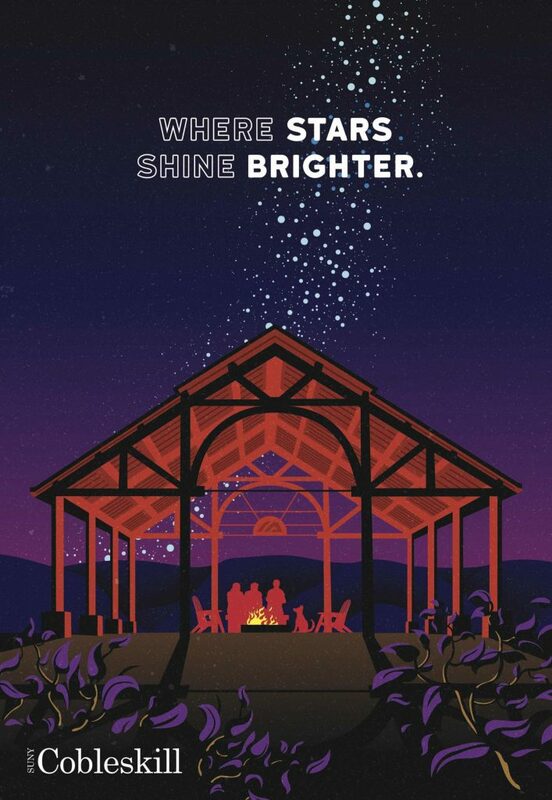 In the end, we were able to provide Cobleskill with a series of pieces that were bright, inviting and memorable. Important when trying to catch the eye of a prospective student or reassure a future student that Cobleskill is the college for them. Cobleskill is an institution that stands apart from the pack. Students explore complex ecosystems in one classroom and re-assemble tractor engines in another. Cows are tended to in a dairy barn with the colorful Schoharie hills in view. A few hundred feet away, a kitchen full of eager young cooks preparing a chocolate fondue. I was lucky enough to experience this vibrant campus culture first-hand on a photoshoot. Every classroom felt like a world of its own and yet there was an undeniable connection between each space. 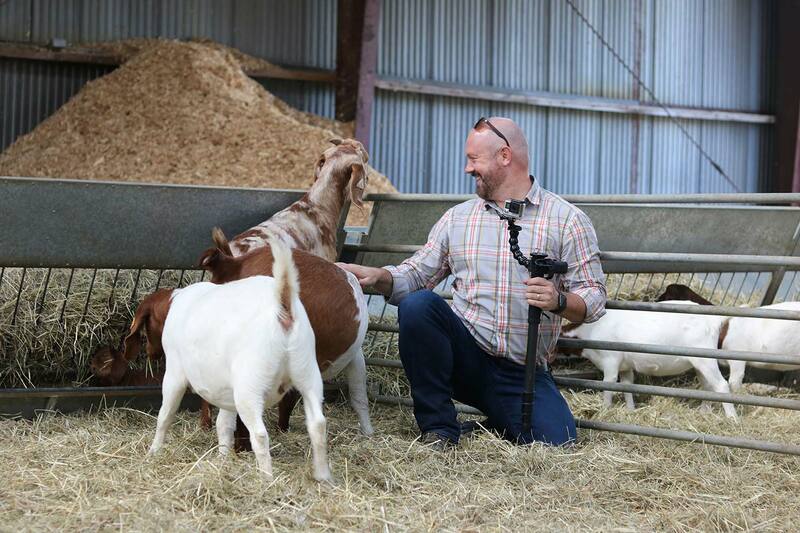 Subjects varied from a horse therapy class to students mapping out farmland with drones. A collective enthusiasm for the present and future was observed in every corner of campus, and we raced to capture all of it. We had the opportunity to witness the unique experience Cobleskill has to offer. For those intangible moments and feelings that Photography couldn’t quite capture, we turned to illustration. 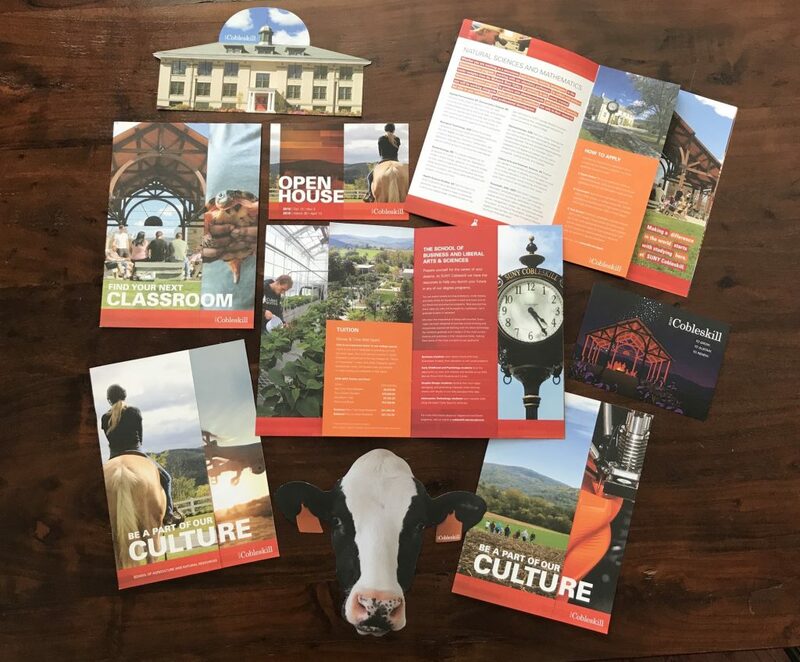 When the time came to consider how students would receive their highly anticipated college acceptance letters, we knew It had to be big, bold and undeniably Cobleskill. Through extensive research and teamwork with the admissions department, we landed on the concept of a larger-than-life campus panorama. Instead of a realistic view, structures and scenes were arranged to create a sense of the passing of time, from the start of a day to its end. Little details like the school’s tiger mascot and the famous campus clock tower especially resonated with Cobleskill’s team. Vibrant colors and art-style helped to paint a picture that we felt could instantly feel like home to anyone. Through photography, we were able to capture so many moments grand and small that were all crucial to the bigger picture. Illustration allowed us to depict scenes that blurred the lines between memory and imagination. Having both tools available to us and the skills to execute a shared vision lead to a suite of materials that we were all beyond thrilled with. In a poster for counselors and students, the glow of a campfire beneath the pavilion and a bright starry sky portrayed the splendor of Cobleskill’s scenery, and the limitless potential to grow and succeed there. In a piece for prospective students, the image of a class conducted in a freshly cut corn field was juxtaposed against a 3-D printer in action. 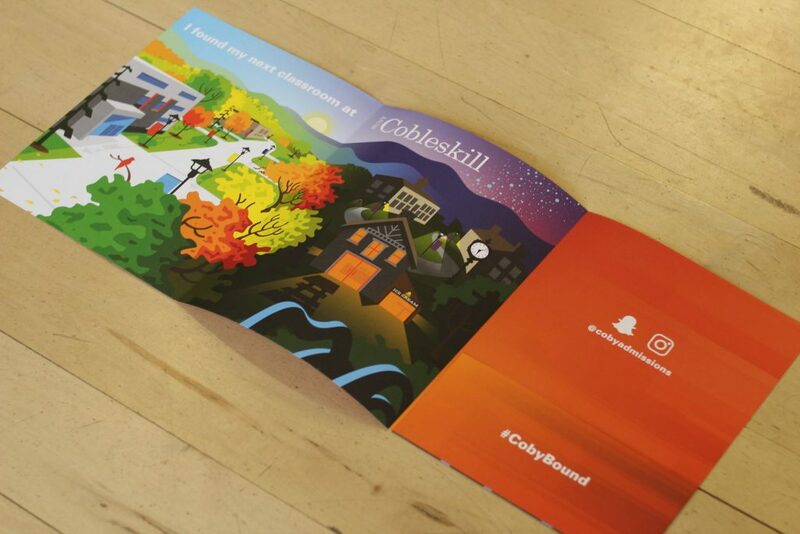 Bucolic images accompanying those of tomorrow’s technology and jobs re-inforced Cobleskill’s tagline. To capture both the spirit and characteristics of such a place requires more than a camera and more than a pen and paper. 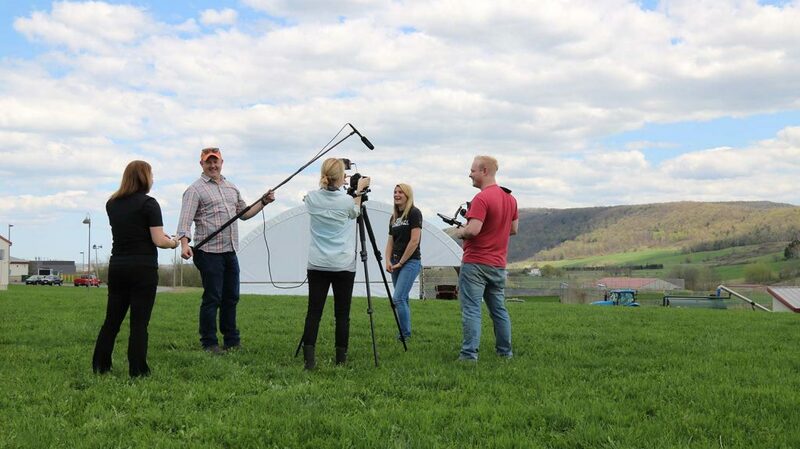 Our relationship with Cobleskill is one that flourishes with teamwork and a shared passion for thinking differently. Courage to hold firmly to values and culture, and vision to look progressively to the future.